The SPL meter is an instrument that determines the sound level by measuring the sound level pressure. Sound enters the SPL meter by means of a microphone input. The sound is then evaluated within the SPL meter and measurement values in decibels are displayed. An SPL meter form PCE Instruments is manufactured in line with the highest industrial standards. 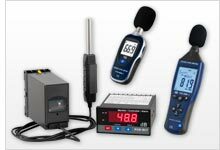 Moreover, such a decibel or SPL meter is lightweight and easy to use. Here, you will find an industrial standard SPL meter. 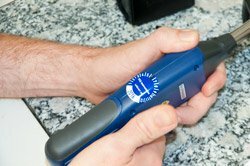 With a portable SPL meter, you can carry out measurements quickly to gain control of a situation or set the noise meter to take timed measurements. The SPL meter can also be permanently installed for applications where constant measurements must be taken. Noise is a very versatile parameter and cannot be defined exactly and clearly. It is not possible to give a universal answer to the question as to what noise is and how much noise is tolerable. Noise is not a physical term but a subjective conception. What noises and sounds are perceived as disturbing or even painful depends very much on the individual person that judges the situation. Since noise is perceived differently by different persons, an SPL meter is necessary to obtain a measurement result which is objective and expressed in numerical terms. Sound pressure levels have already been stated in decibels (dB) some decades ago. Values from 0 to 130 dB can be measured and displayed by means of a sound level meter or SPL meter. Mobile sound measurements carried out by means of a hand-held SPL meter are becoming increasingly important because as soon as noises are perceived to be unpleasant and very loud, single or continuous (timed) measurements can be carried out directly using an SPL meter and in some cases (depending on the SPL meter) saved to an internal memory. Such measurements are frequently carried out over a pre-set period of time in cities where people suffer from the high degree of traffic on the roads. The measurement results are saved to the SPL meter so that it can be assessed whether the noise is too loud and where countermeasures should be taken. The evaluation of the stress factor in offices by means of an SPL meter or other type of sound level meter is also very important because stress due to noise disturbances in the office or in the private area can have severe consequences on human health in the worst case. The measurement of sound plays an important role in all industries, especially by way of a mobile SPL meter which is able to assess the office stress level or street sound level. Problems with noisy neighbours frequently arise as well as problems where bars and restaurants are in residential areas as they frequently produce noise levels after 9 pm in excess of what local laws permit..
We, of course, can assess which SPL meter you require in relation to the issue or application you have. We can also offer you microphone extension cables, tripods, calibrators and calibration certificates for all models of our SPL meters. The SPL Meter PCE-MSL 1 is a simple sound measuring device. The PCE-MSL 1 SPL meter is used to quickly determine the ambient noise level. In addition to the volume measurement, the PCE-MSL 1 SPL meter also has the option of determining the ambient temperature. 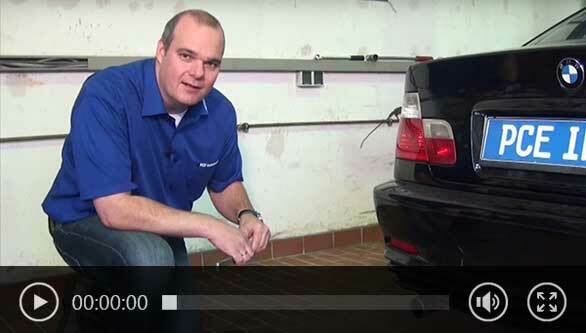 The measurement of background noise is important in almost every situation today. PCE-353 is a sound level meter, sound pressure level (SPL) meter, decibel (dB) meter, noise meter or noise dose meter used for acoustic measurements. With this meter, you are able to measure sound exposure level (SEL) as well as equivalent continuous sound level (Leq), measurements commonly used in assessing industrial noise. The class 2 SPL meter PCE-353 is indispensable for professionals to take measurements to determine the noise pollution at workplaces. The PCE-353 SPL meter has the Leq function which allows measurement of integrated sound level (Leq). With an internal memory this SPL meter is ideal for measurements over long periods of time. 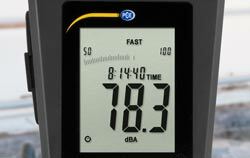 PCE-322A is a handheld, portable, professional Class II sound pressure level (SPL) meter or decibel (dB) meter with built-in data-logging or data-recording functionality. Thus, PCE-322A is ideal for real-time noise measurement as well as for long-term noise exposure monitoring over time. The SPL meter PCE-322ALEQ is particularly suitable for measuring noise in the field of industrial, health, safety and environmental monitoring. The PCE-322ALEQ SPL meter has a logger function, which allows storage of up to 32700 readings. The SPL meter PCE-322A is particularly suitable for measuring noise in the field of industrial, health, safety and environmental monitoring. The PCE-322A SPL meter has a logger function, which allows storage of up to 32700 readings. The Sound Pressure Level or SPL meter PCE-MSM 4 has features that you will only find in other more expensive devices. The SPL meter in a slim design is ideal for mobile measurements of sound. The SPL meter PCE-MSM 4 has features that you will only find in other more expensive devices. The class 2 SPL meter in a slim design is ideal for mobile measurements of sound. It is not easy to find an instrument of this level for such a low price. The SPL meter PCE-318 detects the volume from a sound level of 26 dB (A). 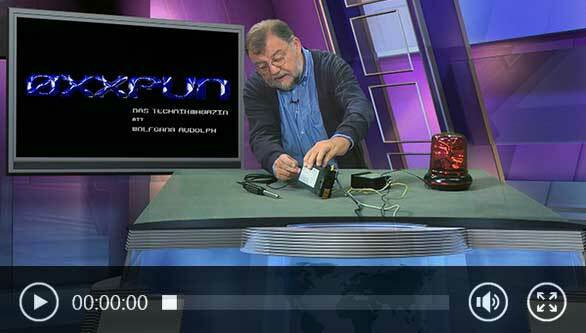 The SPL meter is ideal for measuring very low noises, for example, noises from computer fans. PCE-428 is a class 2 data-logging sound pressure level (SPL) meter that meets IEC 60651:1979, IEC 60804:2000, IEC 61672-1:2013, ANSI S1.4-1983 and ANSI S1.43-1997 requirements. This portable high-accuracy sound level meter has a large easy-to-read illuminated LCD screen that displays the SPL numerically and graphically in real time. PCE-430 is a class 1 data-logging sound pressure level (SPL) meter that meets IEC 60651:1979, IEC 60804:2000, IEC 61672-1:2013, ANSI S1.4-1983 and ANSI S1.43-1997 requirements. This portable high-accuracy sound level meter has a large easy-to-read illuminated LCD screen that displays the SPL numerically and graphically in real time. The Class 1 outdoor SPL meter PCE-430-EKIT with integrated data logger meets all requirements for noise measurement and frequency analysis. This integrated precision pulse outdoor SPL meter kit follows all valid standards and guidelines, and is designed for use outdoors in all weather. The typical applications for this instrument are the measurement of workplace noise, compliance, environmental noise detection, selection of hearing protector selection, selection of appropriate noise abatement measures and noise exposure estimation. PCE-432 is a class 1 data-logging sound pressure level (SPL) meter that meets IEC 60651:1979, IEC 60804:2000, IEC 61672-1:2013, ANSI S1.4-1983 and ANSI S1.43-1997 requirements. This portable high-accuracy sound level meter is equipped with GPS functionality, allowing measured values to be assigned to an exact geographic location. The Class 1 outdoor SPL meter PCE-432-EKIT can be used, e.g, for sound measurement of street noise, aircraft and train noise, event noise, noise coming from construction sites, ports, factories involving heavy machinery, airport/bus stations, stadiums, horse/motor racing tracks etc. The weather conditions do not matter, and hail, snow, rain and similar are no problem for this system for outdoor noise monitoring. The outdoor SPL meter is equipped with a GPS receiver which allows the user to assign the measured values to an exact position. PCE-SDL 1 is a class 2 (type 2) data-logging sound level meter, sound pressure level (SPL) meter, noise meter or decibel (dB) meter used for long-term acoustic measurements. PCE-SDL 1 is a class 2 (type 2) data logging sound level meter, sound pressure level (SPL) meter, noise meter or decibel (dB) meter used for long-term acoustic measurements. The instrument is equipped with a USB interface for download the logged data to a PCE or portable. The SPL meter SLT-TRM-ICA consists of a measuring microphone with handle, a wall bracket with 1.5 m / 4.9 ft cable, and a sound transmitter. The main field of application of this noise measuring device SLT-TRM-ICA lies in the continuous sound measurement and sound monitoring of factory buildings, production areas and major events. Since the calibration standards were set up in the second half of the 20-th century here has been a growing necessity for regular calibration control of the instruments used. Depending on the kind of the instrumentation there can be 6 classes of calibration. Depending on the sphere of use of the instrument, it may belong to a certain class, registered, labelled (for example, “calibrated” if it is class l or “out of service” if it is class 6), each instrument gets its own file with the information about the device, its history, first operation, possible malfunctions. Calibration checks need to be repeated with the time. Each calibration result is examined by the particular authority and the next check is scheduled after the calibration is satisfactory and confirmed. A SPL meter which can be used as a standard reference model is referred to as Class l. Class ll comprises those SPL meters that are for test or measurement and recorded inspection. As a rule, only the results of the measurements and the time may show when it is appropriate to recalibrate or conduct the next calibration of the SPL meter. The manufacturer’s recommendations on the calibration of an SPL meter are not usually taken into consideration, and the calibration is usually performed by the designated authority in order to get the objective results. A very important point is also how often and how the noise level meter / SPL meter is used. This is especially important for a Class l SPL meter. If an SPL meter has been used excessively during a short time interval, it may make sense to recalibrate the SPL meter to make sure that all the functions are correct and the accuracy corresponds. Depending on the environment, the calibration time intervals may also be changed. 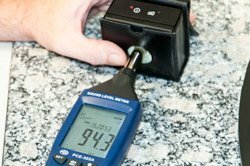 Laboratory conditions may differ a lot from the measurements on-site, it means that humidity, temperature, contaminants may have a negative influence on the SPL meter and the new calibration may be desirable. In reality, many modern SPL meters are as stable as calibrators themselves. In the past, all the instruments required calibration, nowadays some of them, for example, a SPL meter, is very precise and stable. Of course, in the process of operation different kinds of damage are possible, especially with fragile and vulnerable instruments (like microphones) and then calibration is applied to restore or verify the correctness of the of the SPL meter. - when it comes to sound meters / SPL meters, Class l should give +/-0.3 dB, Class ll +/- 0.5 dB. - when it comes to weights, Class l gives 2.5 mg tolerance for 1 kg weight, at the same time Class ll gives 5 mg. The SPL meters and instruments must have a calibration certificate nowadays. A calibration of a decibel meter / SPL meter helps, if not to avoid, then to minimize the risk to get uncertain results and measurements. One more step which may follow calibration is getting a Type Approval from the PTB. SPL meters should also be applied for PTB (Physikalisch-Technische Bundesanstalt) approval. It is the German International Metrology Institute. This Institute is one of the main test and verification institutions, that gives scientific and technical services. One of its main responsibilities is to give or not to give the National Type Approval of measuring instruments and all the auxiliary mechanisms and devices which have to be legally verified. The UK equivalent to the PTB is the NPL (National Physical Laboratory) and the US equivalent is the NIST (National Institute of Standards and Technology). A SPL meter is often tested by the PTB, NPL or NIST to get the Type Approval Certificate. This document confirms that a certain noise level meter / SPL meter has been tested in accordance with all the relevant requirements of the Type Approval System. To apply for type approval, it is necessary to present all the technical information about the SPL meter, manufacturer contact information, purpose, name and application area of the noise level meter / SPL meter, including the type of calibrator used. As a rule, for a class l sound meter or SPL meter, a class l calibrator should be used and not less. For a class ll noise meter / SPL meter, a class ll calibrator is enough. The calibrator used for the calibration of the SPL meter also needs to get an approval from the PTB, NPL, NIST or other authority. Only after all the information about the SPL meter is studied and checked, after all types of tests, mechanical and electrical, are conducted and the results analysed, the above-mentioned certificate for the SPL meter may be issued. Accredited calibration laboratories work in close cooperation with the PTB, NPL or NIST organization. 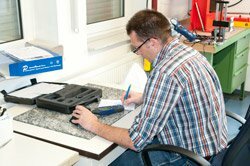 The main task of that cooperation is to guarantee and ensure the uniformity of all measurements taken. In the specifications of nearly any SPL meter, you will find the term “frequency weighting”. Your SPL meter will either measure sounds with an A, C or Z frequency weighting. An A weighting applies when the sound measured by the SPL meter is audible by humans without any technical amplification, e. g. on a construction site or near an airport. When your SPL meter measures sounds with a C weighting, you can expect the SPL meter to measure sounds audible by the human ear, not naturally, but after an increase of the volume with technical help. The Z weighting includes sounds of a flat frequency response between 10Hz and 20 kHz ±1.5dB. Most international standards will require companies to use an SPL meter capable of measuring A-weighted noises. PCE Instruments offer a wide range of SPL meters with A frequency weighting. Some SPL meters from PCE Instruments can also calculate the Leq. One example is the PCE-322A SPL meter with a special software. The equivalent continuous sound level, which is the time-averaged sound level value measured by a SPL meter, is commonly abbreviated Leq. In connection with an SPL meter, TWA stands for the time-weighted average which describes the amount of noise a worker, for example on a construction site or in an industrial setting, is exposed to on a daily basis, assuming that he or she works 8 hours per day. The parameters a SPL meter needs to calculate the TWA are the average level of noise in a certain area and the time the worker spends there. This might be important for someone who is looking for a SPL meter for occupational safety. Some SPL meters show the noise dose throughout an 8-hour exposure in %. These terms can be helpful when trying to compare sounds coming from different sources, measured by a SPL meter. Noises measured by the SPL meter are broken down into their components, expressed in Hz, a unit of frequency. These values are very important when it comes to finding the right ear protection which often depends on the frequencies. An octave band is a frequency band where the lowest frequency is half of the highest one whereas a third octave band is 1/3 as wide as the octave band. This concept might not be easy to understand straightaway but is definitely worth considering when looking for a SPL meter to protect your workers from noise pollution. -	What material should my SPL meter be made of (depends on application / environment)? -	Am I looking for a hand-held SPL meter or for a SPL meter for fixed installation? -	Who will use my SPL meter (ease of use / large keys if protective gloves are worn)? -	Should my SPL meter have a large display (readability from a distance)? -	Does my SPL meter need to fulfil any standards (ISO, …)? -	How frequently will my SPL meter be used? -	Will my SPL meter be used continuously (battery life)? -	What additional parameters should my SPL meter measure (temperature, …)? -	What additional parameters should my SPL calculate (TWA, Leq, …)? -	What additional parameters should my SPL meter show (time, date, …)? -	Does my SPL meter need to have a memory? -	Would it be helpful if the SPL came with an evaluation software? -	Will I need technical support on my SPL meter? -	How many people will need to use the SPL meter at the same time (several SPL meters might be an option)? -	What requirements does my SPL meter need to fulfil to fit my existing pool of equipment? Nowadays it is near to impossible to find a place in a town or city where there would be an absolute and total silence. Too much traffic, too many people, factories, plants, railway stations, airports and so on – from the one side, life is unimaginable without all these things, from the other – life may turn into torture, if they get out of control and do not meet any requirements. Outdoor noise or sound – is one of the stress causing factors and that is why the permissible level of the sound emission is under permanent control by a spl meter. Any equipment used outside (vehicles, devices, machinery) should meet the requirements of the EU directive concerning noise and outdoor equipment. Especially when it goes about living districts, there are particular time periods when the works by means of the drills and other noisy equipment, can be carried out. Even though these sounds are transient and do not last permanently, their level is extremely high for a normal unprotected human ear and that is why is strictly regulated and must measured by a spl meter. Problems with noise level are also experienced by those who live in the proximity to the railway stations, airports, noisy streets or even hospitals and police stations. Excessive and long-term exposure to high-level noise may have dramatic negative impacts on the human health (hearing damage, raised nervousness and irritability, unstable phycological condition), and in some areas noise monitoring and control by use a spl meter is an essential task! Thus, noise level of 120-150 dB /decibel (airport noise, planes taking off and landing, road drills) is absolutely dangerous to the human beings and that is why continuous presence or living very close to the sources of such kinds of noise may have consequences. The perfect level of 30-50 decibels, which is quite a favorable atmosphere with the sounds of a more quire and pleasant character, is sometimes not reachable any more. To understand how bad the noise really is just by description of your physical perception is impossible - You have to use a spl meter. Different people percept noise in different ways, and what is perfect for some people, is unbearable for the others. Therefore, the limits of noise exposure have been set based not on individual opinions, but on scientific conclusions concerning healthcare. It applies to all people who are exposed to noise, not depending on their personal preferences: workers operating drilling equipment and similar should wear protective clothes, airports should mostly be built outside the living areas, the sirens should be adjusted to an acceptable level and many other similar points. That is why a special spl meter has been created: ……… allows not only measuring and, thus, monitoring the environment “noise pollution” permanently, but enables to carry out the necessary changes, either in planning, or in already existing processes, for improving the surrounding atmosphere. This spl meter is weather proof, which means that is can be used even under harsh environmental weather conditions and the measuring process will not be interrupted. Since the measurements are to be carried out outside, near the airports or construction sites, a long-lasting battery pack is provided and there is no need to search for a power source when measuring on site. The possibility of mounting the spl meter on a tripod provided makes the measuring process easy and convenient and there is no necessity to hold the spl meter. The readings collected after a certain period of time may be processed and an absolutely clear picture of the noise level in a particular area / region is received. 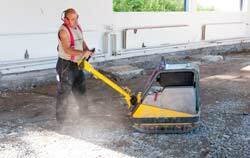 It is necessary to remember that there are noise limits, for both, its level, as well as for its duration. The measurements received with the help of the spl meter show discrepancy between the desirable and real values and thus, any problem connected with the noise emission can be solved in a correct way, so that all the requirements were met and the working process (construction, airport, vehicles with sirens) was not stopped anyways.